Facebook has apologised after guns and drugs appeared to be for sale on the new Marketplace feature on its mobile app. 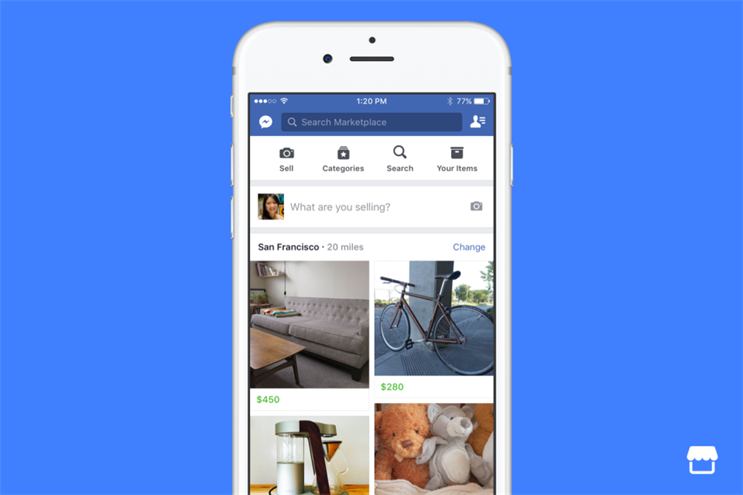 Marketplace, launched in the US last night, allows Facebook users to advertise items they wish to buy and sell, although payment and delivery are not organised by the social media giant. Facebook has now apologised for a "technical issue" which appears to allow users to sell illegal goods online. Mary Ku, director of product management at Facebook, said: "As a result [of a technical issue in the reviewing system], certain posts with content that violated our policies were made visible to people visiting Marketplace… We apologise for this issue." A "report" button is visible under each product listing, while Facebook said it is working on a fix for the technical issue. It said it will also manually monitor posts that violate its terms and conditions. Marketplace has launched in the UK, US, Australia and New Zealand.